On April 13, I joined some of the biggest names in gender diversity to speak to over 300 high school students from across SD23, including Catalyst Canada and the Minerva Foundation. So how did we all end up there? From one student, Caitlin Kingsmill, who attended the 2016 WE FOR SHE event in Vancouver and wanted to share its inspirational message with other students back home. 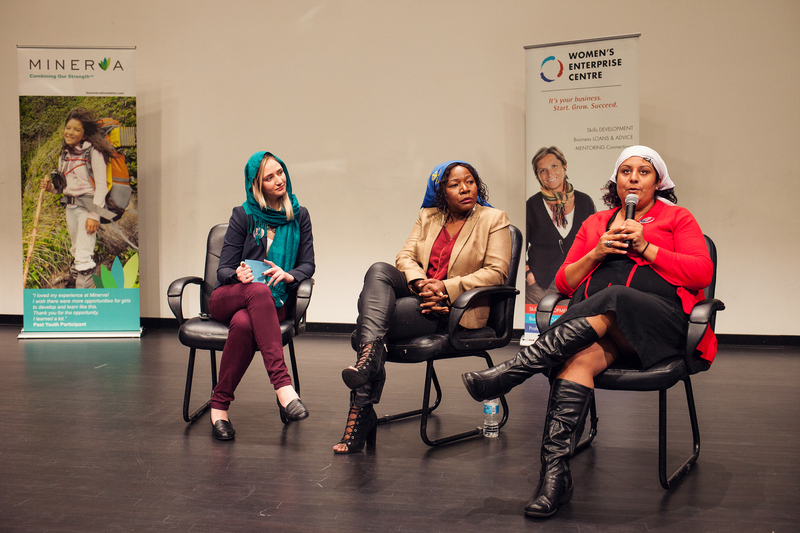 The WE FOR SHE initiative stems from several years of action aimed at increasing the economic impact of women in the BC. This year the focus is on the next generation: showing girls they can choose any career, giving them the confidence to take on leadership roles, inspiring them to follow their dreams and connecting them with role models. I came on board as a mentor for the high school students to support them in what they called their ‘big, hairy, audacious goal’ of hosting a WE FOR SHE satellite event. I wanted to share my experience as an event coordinator to help them manage the project – everything from securing sponsors to figuring out event logistics – but I didn’t expect to get so much in return through the enthusiasm, energy and work ethic of the students. This event is an example of how a powerful message that resonates with one person can grow to impact a large group. “My hope is that every guest can take what they learned at We for She out into the world and use it to empower others,” said Juliet Watts, one of the WE FOR SHE Kelowna co-chairs and a member of the KSS Global Awareness Club, which organized the event. Initially I thought I would guide the students through the event planning process. What I quickly learned was that they needed support and not answers. My role was to coach them and give them the tools to come up with the right decisions themselves. When I said yes to becoming a mentor I had no idea what other opportunities would arise. For example, on International Women’s Day, the high school girls were invited to speak about the event at a press conference on the steps of parliament in Victoria and I accompanied them as their mentor. We were introduced to the Premier and all the female cabinet ministers, and shared a conversation about inclusive leadership and diversity. I was just as thrilled as the students. 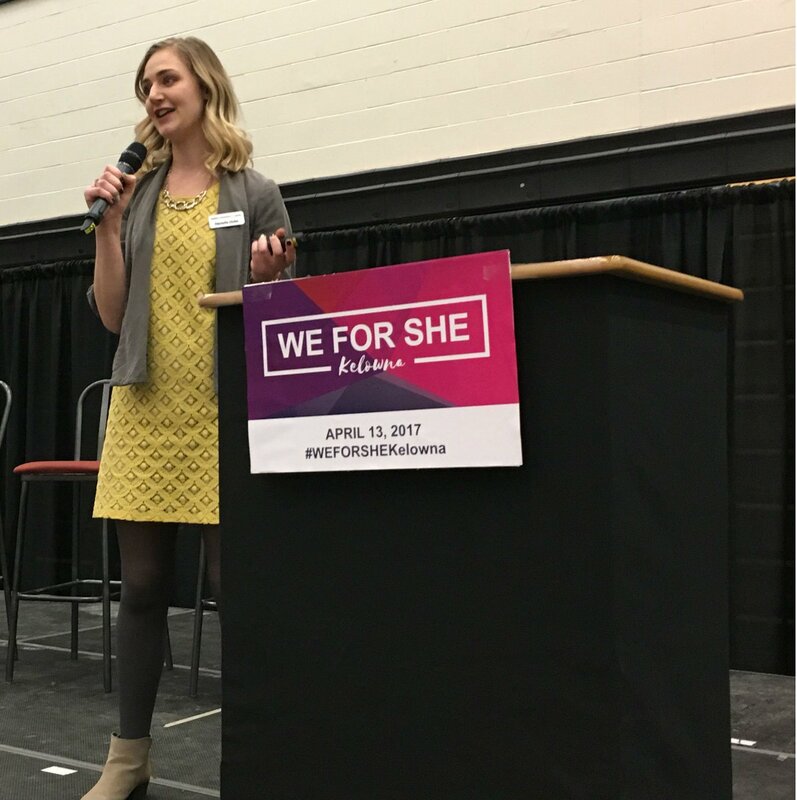 I was honored to be a part of this initiative and my hope is that WE FOR SHE Kelowna inspired someone in the audience to take on a WE FOR SHE satellite event at their school! Sign up for the NextGen Leaders Newsletter!